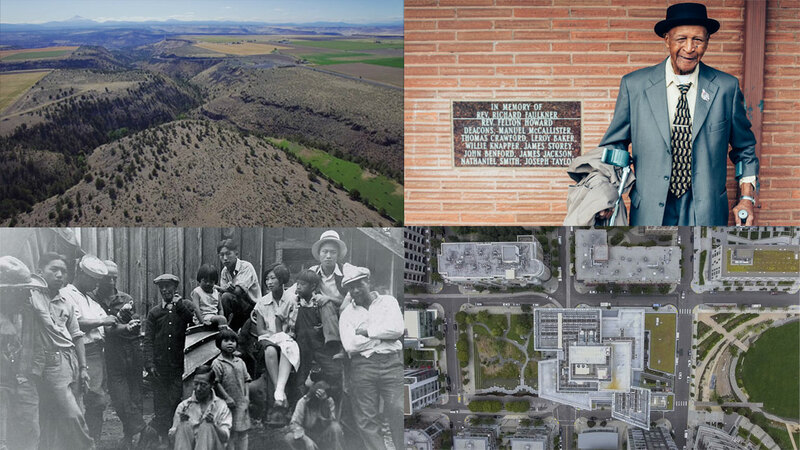 Oregon Humanities is proud to share the work of writers and artists exploring the experiences and ideas of people all over the state. Below are the ten most-read stories from the past year. Some of them are raw sketches of history, others are intimate narratives about life, but all are personal and poignant. Notice any favorites? Returning to her grandmother’s home for the holidays, Kimberly Melton describes the reception to her contested hair style and growing beyond the confines of home. Young citizens of East Portland speak about their rapidly gentrifying community and how they fit in. Residents of Cully talk about their roles in and experiences as members of the fraught and burgeoning Portland neighborhood. The Willamette River colors many lives in the city, but its pollution affects some demographics disproportionately. What efforts are being made to clean it up, and who has a say in how it’s being done? Despite a daunting set of circumstances, many of the state’s first Chinese immigrants were among the laborers who helped launch Oregon’s early momentum in the hop industry. The third-graders and educators at Sunnyside Environmental School take a more critical approach to Portland’s history in their annual musical. Who has a stake in Portland? This continuation of Future: Portland explores land ownership and belonging in the city. What do you take with you when you start your life anew in a foreign country? Four refugees talk about their personal histories through their belongings. Struck by the lines “Who is your father and your father's father? Say their name" in a play, Gwen Trice heads back home to learn and teach the forgotten history of her father and the other Black loggers in Northeast Oregon.